Phoenix, AZ – May 23, 2018 – ABI Multifamily, the Western U.S.'s leading multifamily brokerage and advisory services firm, is pleased to announce the $4,875,000 / $65,000 Per Unit sale of the Eclipse Apartments, a 75-unit apartment community located in Phoenix, Arizona. The two-story property is built of wood frame with stucco exterior and flat roofs. The attractive unit mix consists of (60%) two bedroom, (20%) one bedroom, and (20%) studio unit types, averaging 800 square feet. Eclipse Apartments contains four buildings and sits on a 2.62 acre site. All two bedroom units are individually metered for electricity with individual hot-water heaters. The community includes a pool, laundry facility, office, and easily maintained desert landscaping throughout. "Eclipse Apartments provides the Buyer with an excellent opportunity to add value through interior renovations," states Doug Lazovick, Partner at ABI who represented the Seller. "The Seller had purchased the property in 2015, executed an exterior renovation plan and had built-up enough equity to take advantage of the current market." 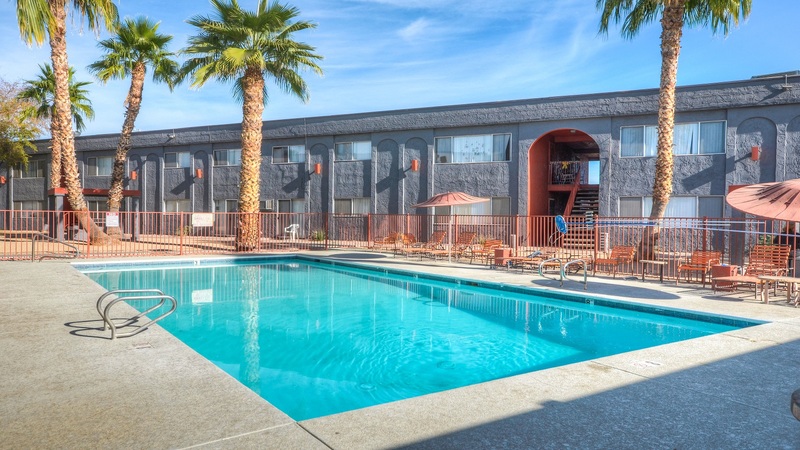 The Phoenix based ABI Multifamily brokerage team of Doug Lazovick, John Kobierowski, Alon Shnitzer, Rue Bax and Eddie Chang represented the Seller in this transaction.